Containment Protocols: RPC-290 is to be held in a standard low threat containment chamber at Site-002. No individuals under the age of 13 are allowed within a 10m radius of RPC-290. 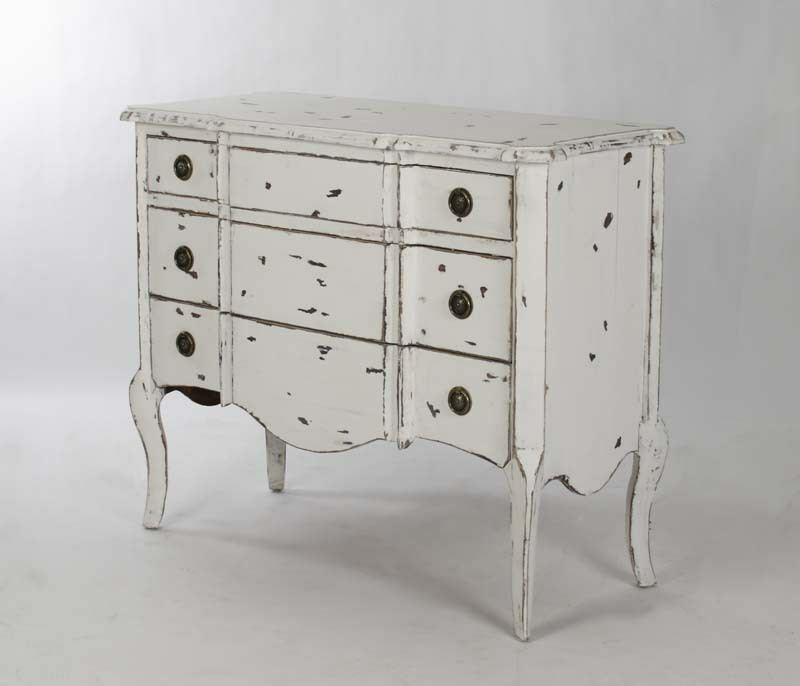 Description: RPC-290 is a white opaque dresser with 3 drawers. On the bottom of RPC-290 is a manufacturer's mark of unknown origin and language. RPC-290’s anomalous effects take hold when in the prolonged presence of human children aged approximately 3 to 131. Adults do not seem to be affected by RPC-290’s Stage 1 effect and will claim ignorance of its existence until victims of RPC-290 reach its Stage 2 effects. When Stage 1 effects take place, individuals will claim to have an imaginary friend named “Pete” (hereby referred to as RPC-290-2) who hides in the dresser and plays company to the victim. When asked to describe RPC-290-2, the victim will frequently describe a loved one, although on one occasion a victim described [DATA EXPUNGED]2. After prolonged exposure to RPC-290, Stage 2 will begin, in which the victim will start to experience nightmares that will continue to grow more horrific in nature, eventually evolving into night terrors until RPC-290 is removed from the victim at an unknown range. While removal of RPC-290 is necessary for the removal of its effects, the majority of the victims showed signs of withdrawal and voiced a longing for RPC-290-2. Brain scans of the victims after the events end reveal irreversible damage to the cerebellum, although the connection to RPC-290-2 is unknown. Wells: You're one of the bad guys who took Pete away, go away. Wells: What do you want? Wells: He's a man, but not really a man. Wells: He has a face, but his mouth is on the top and his eyes on the bottom with no nose. Kirk: I… Thank you for your time. Closing Statement: Due to the effects of RPC-290, Jonathan Wells was unable to walk for the rest of his life. After the interview, Wells was given a Type 1 amnestic with his cover story being that he had suffered a stroke. Given Wells' near accurate description of RPC-███, the connection between him and RPC-290 is currently under investigation. On June 6th, 20██ reports came in from ██████, Connecticut of what appeared to be an “epidemic of night terrors." At this point, there were 5 known cases. Investigation Unit 15 “Search and Rescue” was dispatched to investigate these claims; after 2 years of investigation, 3 members of Investigation Unit 15 interviewed the most recent claim (7 known cases at the time) and drew a connection to RPC-290, managing to track RPC-290 down to ███ █████, Connecticut where RPC-290 was successfully recovered without incident or losses, alongside the following document found inside RPC-290. The people that sold us Pete seemed so glad to get rid of him… I never understood why. 1. As of this writing, there have been 8 known victims.